Arnold Schwarzenegger. Gabriel Byrne. Kevin Pollak. Robin Tunney. Rod Steiger. Justin Long. Michael Parks. Genesis Rodriguez. Haley Joel Osment. Hearing Impaired (DVD). Horror. Violence. Drama. Action/Adventure. Thriller. Horror. Kevin Smith had a podcast where they made a joke about the idea of kidnapping and turning a human into a walrus. It went viral on the twittersphere. Then it became a movie. This movie. Though the whole thing starts out well, with decent doses of good humour and dramatic tension, it all falls very quickly by the wayside. 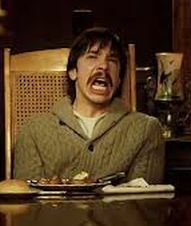 The result is a ridiculous prosthetic walrus suit that envelops Justin Long. Somewhere inside this mess of a movie there's a punchline, if only Smith could get to it without quite so many silly, sexist and yawn-inducing stretches of exposition.